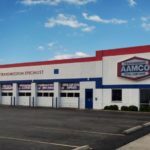 More than half a century after AAMCO launched one of the nation’s first franchise systems, the iconic transmission franchise continues to rapidly expand across the United States. In 2016, AAMCO reported a record number of existing franchise owners reinvesting in the brand, signing franchise agreements to open more AAMCO centers. The wave of momentum is expected to continue in the New Year and beyond, and to facilitate that growth, AAMCO has named Kim Robinson as its new Director of Franchise Development. 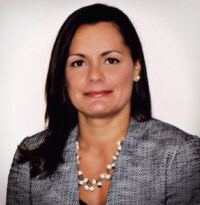 Kim has been with the world’s largest transmission franchise for a period of 18 months, coming to AAMCO after several years in franchise development with Chem-Dry, the world’s largest carpet cleaning franchise. 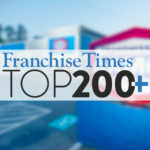 Unlike other franchise systems, Kim’s role will not only include franchise development, but also ongoing support of new franchise owners as they navigate the process of preparing to open the doors of their new centers. The duality of her role is a testament to the importance AAMCO places in training and overall preparedness for new franchise owners. From the moment an entrepreneur signs the franchise agreement to open a new AAMCO Center, Kim will be there guiding the way. While opening a new business can be complicated, new AAMCO franchise owners are supported every step of the process: from site selection, to buildout, to hiring technicians, to marketing, to grand opening and beyond. “AAMCO used to be a brand that attracted only those with experience in the auto repair industry to become franchise owners,” Kim says. “Now, the folks who are signing up to become franchise owners are business-minded entrepreneurs, who are attracted to the resources that AAMCO provides to make the business easy to run and accessible to those without prior experience in the auto repair industry. The executive team made significant investments in initial and ongoing training, education and technology to establish AAMCO as highly competitive in the 21st Century. Beginning in 2014, AAMCO simplified the business model by opening a transmission remanufacturing facility and expanded the level of services offered to help franchise owners get a bigger slice of the general automotive repair market, which generates $62 billion a year in sales according to IBISWorld research and in 2015, opened the world class education center, AAMCO University. These investments have also driven profitability for franchisees and helped them earn trust by enhancing the in-store customer experience with initiatives such as consumer financing.